Today is our 242nd Independence Day! 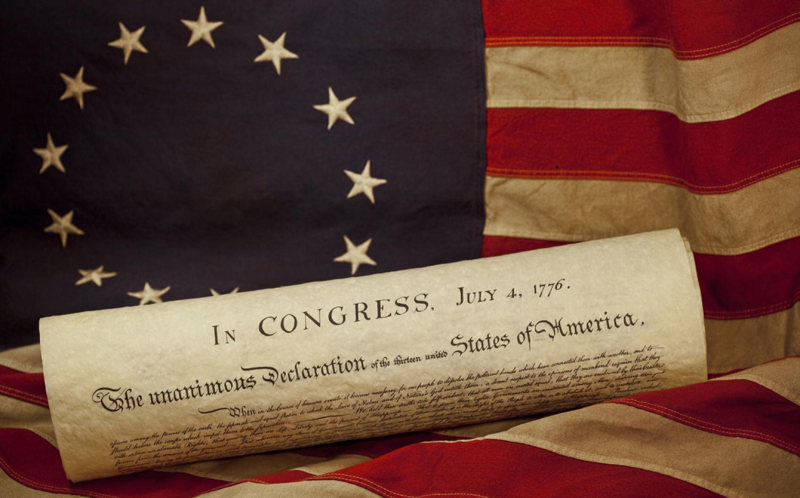 John Adams thought we would celebrate July 2nd: “with Pomp and Parade, with Shews, Games, Sports, Guns, Bells, Bonfires and Illuminations from one End of this Continent to the other from this Time forward forever more”. He chose July 2nd, because that&apos;s when the Declaration of Independence was passed originally by Congress, but they sent it back into committee to have some wording adjusted, and so passed the final document (the one we know) on July 4th, 1776. We officially separated ourselves from Britain and its oppression, and if you&apos;ve ever read the document, you know we spelled out exactly what our issues were with England&apos;s king and our former government. Today, we&apos;re not really doing a good job spelling out our issues with others outside our country. We spend too much time doing that with those who stand next to us. Whether it&apos;s in Texas politics or national politics, we spend too much time dividing into “them” and “us”, and not focusing on what we have in common as Americans. That&apos;s what is wonderful about the Fourth of July…we simply rejoice in our Americanism, no matter our differences in semantics. We picnic, we go to the lake, we watch patriotic concerts and fireworks together…and no one is asking the person next to them what their political beliefs are. We are simply enjoying the unity of being American and having that shared history. I&apos;m not saying those differences aren&apos;t important. What I am saying is that they are less important than why we love this country, and what we&apos;re willing to do for this country. We all as Americans love this country and want what is best for her. We disagree on how to get there. Janine Turner, the actress made famous by “Northern Exposure”, has a nonprofit called Constituting America, which emphasizes the fundamental nature of the Constitution on the formation of America, and why it&apos;s still important today. Janine was a guest in my classroom the past two Mays, and both times I heard her tell a story about her daughter Juliette, when she attended a swanky Northeast school. She was having issues with bullies, who didn&apos;t appreciate her political beliefs, atypical for the region. She sat down with the biggest bully, and while the other girl wasn&apos;t converted by Juliette&apos;s beliefs, they became friends because they agreed on “five percent…the part where they both loved America”! And that five percent allowed them to bypass all the bad feelings and understand that, while they disagreed on the path, they were both looking for the best outcome for the country. Then they could rationally discuss their different beliefs, rather than thinking the other was out to ruin America. Going forward from this July 4th, our Independence Day, let&apos;s focus on the five percent. Let&apos;s evaluate…Where do our beliefs overlap? Where do we look for the same opportunities and same outcomes? Where is the vocabulary different but the thought process the same? Let&apos;s focus more on that, and try to bring a little bit of unity to what currently is nothing but a screaming match.